As a world championship winner in the relatively obscure pursuit of ultimate frisbee, and an accomplished athlete who as a student excelled at netball while trying her hand at everything from cross-country running to surf lifesaving and water polo to soccer, Cat Phillips is a handy barometer of the sudden, up-in-lights appeal of women’s Australian Rules football. Like Phillips with ball in hand, the game has latterly been cutting a mesmerising dash. “I think I might have left it a bit late – I’m loving my engineering career and don’t want to give that up,” the 25-year-old says of the prospect that women could soon make a living out of a sport that, for more than 120 years, has been almost exclusively the domain of men. When Phillips (BSc 2013, DipMathSc 2013, ME 2015) joined pre-season training with the Melbourne University Women’s Football Club two years ago, ostensibly to boost her running for ultimate frisbee, her footy experience amounted to half-time kick-to-kick in the MCG carpark while attending Collingwood games with her family. She dipped her toe in a little deeper last February at an AFL women’s talent day, and in July finally played her first official game. Many wouldn’t have persevered beyond her first “unofficial” game. If this was supporting evidence of the primitive wisdom that football is no game for women, Phillips was having none of it. 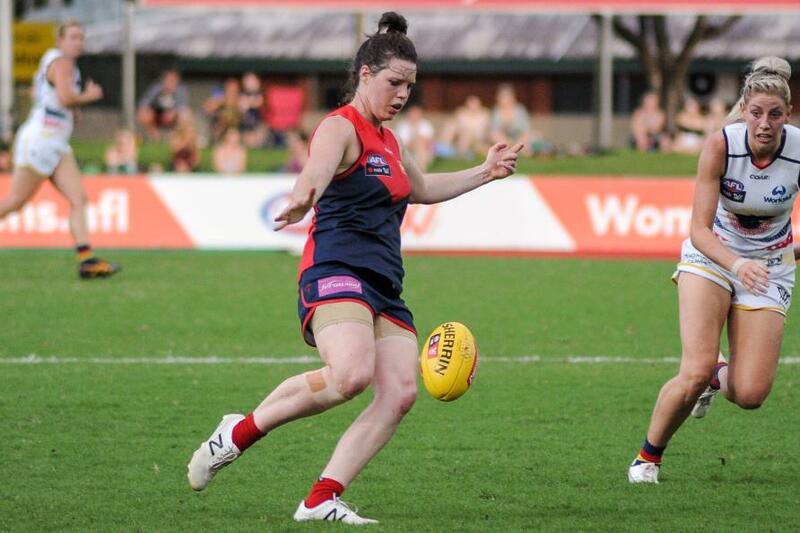 She shrugged it off, recovered, and in October was drafted to Melbourne, one of the four Victorian clubs granted an AFLW licence in the inaugural eight-team national women’s competition. 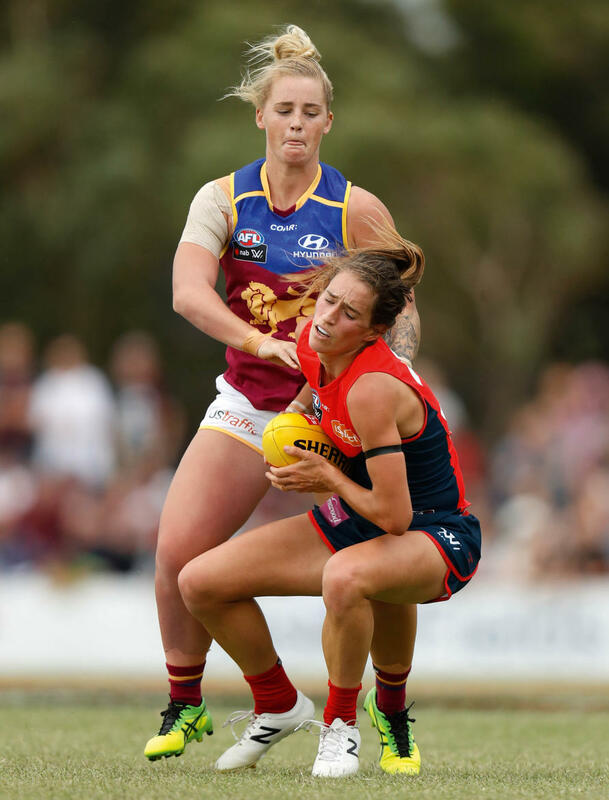 On the first Sunday in February, she played against the Brisbane Lions, and the sight of her haring down Casey Field and kicking long into the Demons’ forward line almost reduced Laura Kane to tears. A knee injury ended Kane’s playing days at 20, but six years later she exemplifies the doors that are opening to women in football, not just in a playing sense. President of the University’s six-team women’s club, Kane last year became head of women’s football at AFL club North Melbourne. Then, in the week of AFLW round one, she quietly ascended to the role of football operations manager for the entire club. She celebrated by joining the masses that flocked to Princes Park for the historic first game between Carlton and Collingwood, walking down Royal Parade among men and women, boys and girls clad in club colours “like it was a normal thing to do”. 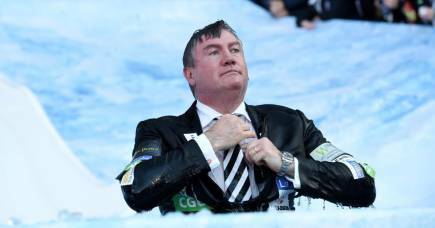 The AFL had anticipated a crowd of up to 15,000; officials were forced to lock the gates when it topped 25,000. When Phillips arrived at an outer suburban venue almost three hours before Melbourne’s first game two days later, she couldn’t believe fans were already queueing to get in. “Playing at Cranbourne with a thunderstorm forecast I didn’t think anyone would turn up … it was amazing,” she says of a crowd of 6500 that, buttressed by staggering television audiences, kept women’s football where it had been all weekend but scarcely ever before – on the back page of Melbourne’s newspapers. 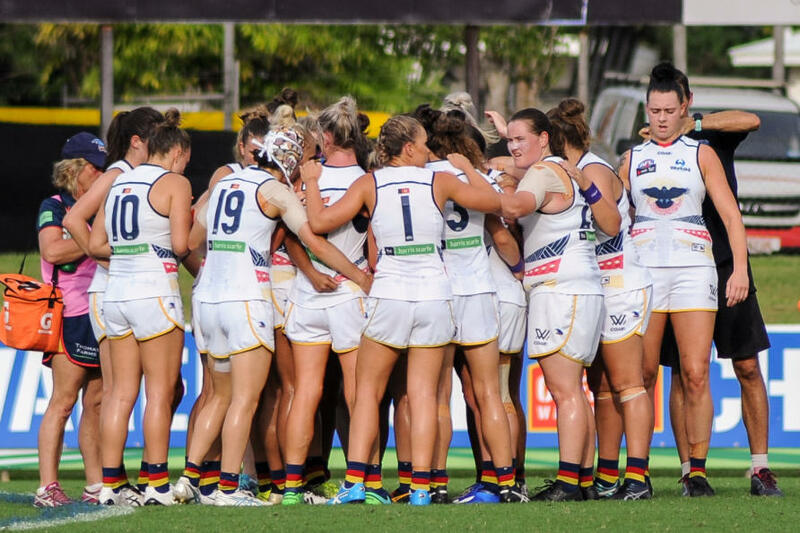 No one is better placed to mark this progress than AFL chief executive Gillon McLachlan (LLB(Hons) 1996), who was playing for University Blues in the Victorian amateur competition when the women’s arm of the club began in 1996. Since last October, the women’s club has sat alongside men’s teams Blues and Blacks in a governance structure that oversees the University’s three football arms, which continue to operate autonomously. McLachlan says the structural change that’s occurred mirrors the rapid linking of arms in footy clubs throughout Australia, which last year saw 250 women’s teams play in greater Melbourne. Perhaps the greatest revolution has been the conversion of fans who cared only for men’s football. “Go back 10 years and look at how women’s football was viewed, there’s been incredible change and momentum,” McLachlan says. McLachlan takes an old boy’s pride in the University having 17 players drafted onto AFLW lists, the most of any club in the country. Kane doubts this could have happened if the Uni women hadn’t been preparing and training out of North Melbourne’s Arden St headquarters for the past six years, accessing the same facilities and expertise – gym, theatrette, nutrition and medical staff – that North’s male players have at their disposal. This was pioneering, but has quickly become the norm. She has no doubt the talent pool will grow, and the women who made the transition from club football into the AFLW will improve markedly. McLachlan, meanwhile, wavers at the notion that AFLW could be the great legacy of his time in football’s top job, saying his task is to manage expectations and help bridge the talent gap between the best players and those filling out club lists. His eldest daughter plays netball, her sister plays football and basketball, and both love their footy. “They’ll get older, they’ll make decisions, but they now know it’s a real option for them,” he says of a future that female footballers can look to with great optimism. This article originally appeared in 3010 magazine.